ISTANBUL, TURKEY. 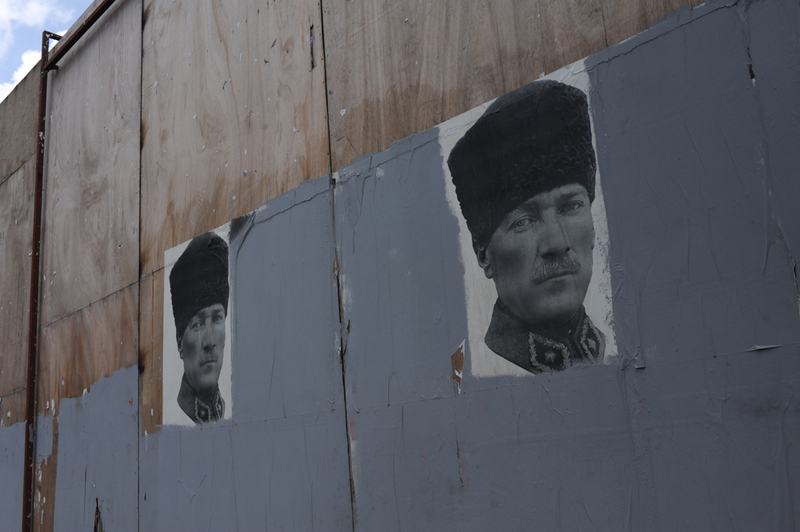 Posters of Mustafa Kemal Ataturk surrounded by painted over graffiti are seen near Taksim Square on June 13, 2013. On the 17th day of protest and periodic riots in Istanbul, many awoke to find graffiti opposing the ruling Justice and Development Party, known by its Turkish acronym AKP, had been painted over by municipal workers overnight.